At every baseball or tennis match, one of the most common and vital pieces of equipment we identify is the pitching machine. Many players, both beginners and professionals rely on the use of a pitching machine to build upon their sense of timing and good rhythm while facing hundreds of pitches. Pitching machines also come in handy for coaches or parents, who don’t have to be physically present to pitch to their kids. However, although helpful and essential, they don’t come cheap; thus, many factors must be considered before purchase to ensure that you receive the best value for your money. The various factors have led to the creation of a list of the best pitching machines on the market that coaches and parents must take a look at. The first pitching machine on our list is the Louisville Slugger UPM Pitching machine, also known as the ultimate pitching machine. With this pitching machine, you can throw all kinds of balls, be it fast pinch softballs, hard balls, dimple balls and even volleyballs from 18 to 45 mph with speed controls that are easy to adjust. For balls that have a light flight such as plastic balls, the UPM throws them up to 60mph, with softballs being pitched with up to a 12 inches arch. This makes the UPM a great machine to set up for a variety of drills. The Louisville Slugger is the official ball pitching machine used by Pony Softball and Baseball, as well as the Babe Ruth League, and has been authorized by other teams participating in the American Youth League. Since it helps players develop a sharp muscle memory without their coach losing his arm, the UPM is used by coaches around the world to teach players the proper swing mechanics and also help them improve their accuracy at throwing fly balls, strikes and grounders. This is a purely mechanical machine which doesn’t require the use of electricity or batteries. This also makes it a lightweight and easily portable device, which can be moved all over the field or from one track to another. With the UPM on your field, you won’t need to get any particular batting machine for your plastic balls or those with leather covers. It is the best training aid any team can have and is consistent in its pitch delivery, batter after batter. This consistency enables the hitter to develop a specific and proper level swing path to the oncoming balls. This can be incorporated into drills for school teams and community youth teams. For more great sports equipment, check out our guide to the best golf trolleys. Another lightweight yet profoundly efficient pitching machine for up-and-coming hitters is the JUGS Lite-Flite machine. Recommended for children aged eight to adult players, the JUGS pitching machines can simulate speeds of up to 85 mph and is compatible with the JUGS Bulldog polyballs, Lite-Flite baseballs and the 11 inches to 12-inch Lite-Flite softballs, which are sold separately. It is worth noting that any other ball used may cause extensive damage to the machine. The JUGS machine can also throw sliders, fastballs and all kinds of curveballs. This softball pitching machine comes with a swivel-based design that provides fly balls, pop-ups and ground balls with a 360-degree versatility. If you’re looking to hone your swing, the JUGS machine is the ideal option for you as it buries your fear of being hit while it teaches you how to hit sharp-breaking pitches. You can also practice your defense skills on the field or in the comfort of your backyard. This machine has other exciting features such as its ability to be used both indoors and outdoors, its quick-change design that helps you adjust the device from softball to baseball in a couple of seconds, a portable design and its “always see the ball” system. The JUGS Lite-Flite machine makes use of the JUGS rechargeable battery pack, that helps it operate for up to three continuous hours. It is a self-contained battery and is sold separately. Recharging this battery takes only four hours, and the battery comes complete with a recharger, extension cord, a nylon carrying case and a shoulder strap. A very practical machine that makes a perfect Christmas gift for any sports enthusiast. Pitching doesn’t always have to be serious work. It can be made fun and exciting. One way to make your pitching drills more enjoyable is by using the Franklin Sports MLB Baseball Pitching Machine. This is the best pitching machine for young and budding players and hitters, as it uses fun to develop their eye-hand coordination. With six plastic baseballs included in each set and its adjustable height, the Franklin Sports MLB pitches balls at ten-second intervals without the use of batteries. This portable pitching machine is a suitable gift to give anyone! From toddlers to teenagers, and even to adults! It is the perfect machine for father-son activities or a severe youth league training drill where the coach is saved from the risk of injury. This machine is recommended by various coaches and parents, as it offers them immense value for their money. It doesn’t require to break the bank, and yet, its quality, functionality and durability surpass most of its competitors. Sometimes, a ball may veer off about a foot or more to the left or right, and this is great when training kids because, in real life, not all pitches are made correctly. This teaches them to be confident in their hitting and also helps them develop as both kids and athletes. The speed of every pitch is perfect for young children who are just beginning to learn the skill of hitting and can also be used to train players on how best to catch, as the balls aren’t pitched so hard that they may hurt anyone eyes. Many coaches attest to the fact that players have improved their skills all-around by training with the Franklin Sports MLB machine, and this includes kids who aren’t on baseball teams. Another baseball pitching machine from JUGS is the JUGS Softball Pitching machine, which comes with a cart. Just like the Lite-Flite, this pitching machine is crafted with the “always see the ball” delivery system that undertakes a realistic underhand delivery of each pitch, making training more comfortable and more enjoyable. It also has the swivel-design base that provides a movement of 360 degrees for pop-ups, fly balls and ground balls. With its softball transport cart, the JUGS softball pitching machine helps you get the most out of your practice time by getting you on and off the field quickly and quickly than other devices. For slow-pitch teams, this professional pitching machine is perfect for throwing arching tosses, while it throws great fastballs and risers for the fastpitch teams. JUGS is developed by professionals to deliver a perfect strike every time, no matter what your field needs are. 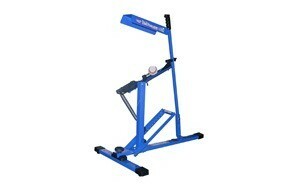 Install confidence in your players by using this machine to train them as they prepare to step into the batter’s box. The JUGS pitching machine also features special non-marking pneumatic tires and an overall design that makes it ideal for both defensive and offensive drills. It is a lightweight baseball launcher which is easy to set up or move about and comes with a five-year guarantee. As it is also suitable for people of all ages above eight, with its varying speed levels, you can train young players starting slow and building up to higher speeds as their skills improve. 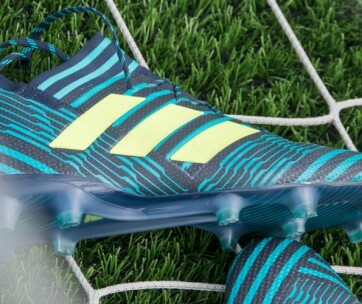 If soccer is also your thing, be sure to check out our review of the best soccer cleats. The BSN Bulldog pitching machine makes pitching look so fresh and comfortable. Get your batters and all other players ready for their next big game by training them with this durable machine which has its settings converted from softball to baseball, and also features durable wheels designed to eliminate air pressure issues. This machine throws balls between 30 to 60 mph and aids in holding lengthy batting practices without the need to wear pitchers. Its pitch speed has been set by manufacturers to simulate a variety of pitches to help develop the confidence of players before when they get to step into the batter’s box. With its overall lightweight, the BSN Bulldog machine is extremely portable and comes with different speed settings, making it suitable for both hitting professionals and those who are just learning the basics. This automatic pitching machine is compatible with 5Ah batteries, which can run it for over two hours. Move your pitching machine around with ease and enjoy the many benefits it brings to your next practice session on the field. From excellent hitting skills to improved hand-eye coordination and relaxation of use and portability, the BSN Bulldog pitching machine is one excellently designed pitching equipment recommended for all baseball and softball league players, coaches and parents. If you like practicing baseball, be sure to also check out our guide to the best baseball gloves for more great products like this. Are you looking to improve the depth perception and hitting skills of your players before their next major game in the league? 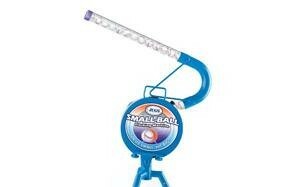 Or you’re probably looking for a ball throwing machine that’ll help your little one grasp the fundamentals of hitting? Chances are, the answer to your constant prayers is the JUGS Small-Ball Pitching Machine. This is a lightweight and extremely portable machine that can be carried from one corner of the field to the next, or from one area to another in the event of a joint training game. Weighing only 23 lbs, the JUGS small ball pitching machine features a heavy-duty steel constriction with legs that are easily adjustable as they simulate realistic delivery height. Working at a simulated speed of up to 75mph, the small ball machine throws straight fastballs and overhand curves through its 25-ball feeder, which can be set manually or automatically. It can also shoot ground balls and fly balls for different training sessions. Hitting a round ball with a baseball bat is probably one of the toughest things to do in sports, but imagine having to bat a ball that is half its original size! With the Small Ball pitcher, you get to practice small, and this encourages all hitters to increase their level of focus during a training session. Mastering the small balls boosts the confidence of players and also ensures a higher success rate when playing an actual game. When it comes to balls, this magnificent machine is compatible with both JUGS and SKLZ balls thus, if your SKLZ machine is no more, you can make an easy switch to the JUGS and save up all that money! The JUGS Small-Ball machine is a fun coaching tool and is extremely useful too. It can be set up anywhere, from your backyard to a field or even your garage. This equipment takes away the element of fear and teaches players the fundamentals of professional hitting with or without a coach and a batting cage. The Small Ball machine is used by youth league teams, colleges, high schools and also backyard players. Each purchase comes with a one-year guarantee and includes a free drill book. If you are both baseball and golf fan, don’t forget to check out our top picks of the best golf shoes. The last pitching machine in our selection is the SKLZ Catapult Soft Toss Machine. Aside from its balls being compatible with the JUGS Small Ball pitching machine, the SKLZ machine is built to develop ones hitting accuracy and visual acuity. The catapult enables players to work on both their defensive and offensive sides before they play their next game. This unit can be adjusted for distance and height, and it offers a consistent serving of a ball every eight seconds. It is used with batteries and an adapter and holds up to 8 shots at a time. Practice footwork, soft toss and glove-hand ball transfer with the use of regulation balls. SKLZ was founded with the aim of creating products that guide athletes on their journey to unearthing their full potential. The need to elevate athletes above their current best is what led SKLZ to develop many innovative products backed by knowledge and technology for athletes of all disciplines, ages and skill levels. 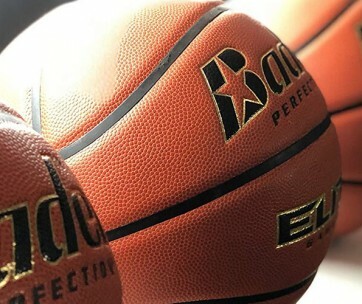 They have manufactured products for basketball, soccer, baseball, and even football and continue to do so daily to provide both coaches and their players’ tools needed to improve their sport-specific skills or enhance their core strength, speed or agility. It’s also perfect for any tennis court, so be sure to combine it with some of the tennis shoes from our list. Brand - Many brands were considered in the curating of this list, to ensure that both well-known and lesser-known brands were adequately represented. Reviews - Before the creation of this list, many reports from various sites were read and analyzed to come up with the perfect list for all readers. Quality - We looked for pitching machines that are made from high-quality materials with top-notch technologies and construction methods. Durability - Regarding durability, the quality of a pitching machine can determine its strength. Most of the tools in our collection are durable and also come with a guarantee for repairs and replacements. Price - Concerning pricing, the cost of pitching machines varies greatly, depending on the type, brand, and the size. Some devices are always on sale, making them more affordable. Getting a pitching machine and a batting cage are the first steps to developing your batting skills, which is why we have provided you with some factors to consider looking out for when selecting your first or next pitching machine. Power Source - The power source is yet another significant factor to consider when picking the perfect pitching machine. Whether it uses batteries or a power outlet, ensure that the power source of the selected device works well for you, your training field and your team. Adjustability - Many tools used for pitching provide you with the chance to adjust its height and the pitch distance. This is an excellent feature as it means you can use one machine for various age groups. It also makes the device a cost-effective one. Ball Compatibility - When selecting a pitching machine for your team, pay attention to the types of balls it can accommodate. Some tools enable to use balls from different brands, while others are made to work only with their specific brand ball. Pitch Speed - The speed of a pitch made a pitching machine is one of the least critical facts one must consider, as this speed will always be affected by the distance at which the device has been set. Pitch Types - Pitching skills required by beginners, and professional players differ considerably thus it is critical to consider this when selecting a machine. Identify your needs, the group you're training and how the pitching machine can help them develop their skills. Some pitching machines enable you to switch between pitches, and these are great for coaches who train different groups. Pitch Frequency - Electric and automatic pitching machines have certain intervals at which balls are pitched, and this helps hitters practice independently. Most often, this interval cannot be adjusted. Portability - Getting a portable machine makes it easier for you to move it around the field or from one area to the other. This is helpful if the device requires connection to a power source or an electrical outlet. 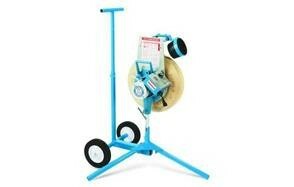 Try looking out for pitching machines that come with wheel kits to enable you to move them around with ease. Control - There are two types of power concerning pitching machines manual and automatic. Manual requires an external force to help in its operations, whereas the automatic machines rely on the use of electricity or batteries. Armed Pitching Machines - These machines are used mostly by high schoolers and even by some professionals. They can alternate between baseball and softball, and they throw accurately straight balls at a speed of 25 to 85 mph. These machines cannot, however, be moved from place to place. Wheeled Pitching Machines - You probably have one of these in your backyard or your college. They come with a motor which propels its rubber wheels, a steel frame which is attached to a tripod and electronics that have direction and speed adjustment knobs. Spring-loaded Pitching Machine - This type of pitching machine is manually operated requiring another person to pull the lever. The spring then propels the ball to the player. It's said to be more suitable for younger players due to its lack of versatility for different types of pitches. Compressed Air Pitching Machines - Said to be highly portable, air compressed pitching machines work by pushing air through the machine so that the force enables the spring to pitch the ball. A device like this will also require a second user to press to the button. Q: What is a Pitching Machine? A: A pitching machine is sporting equipment used by baseball and softball coaches to train their team in hitting techniques. It is used to prevent them from manually throwing the ball which reduced the risk of injury. Q: Can Pitching Machines be used for both softball and baseball practice? A: There are many pitching machines available on the market that are designed to toss both softballs and baseballs. Many more can pitch other types of balls so your selection must be based on your training needs. Q: What types of balls work best in a pitching machine? A: Depending on the brand, a pitching machine will do well with any ball, made from materials such as plastic, leather or any other metal. 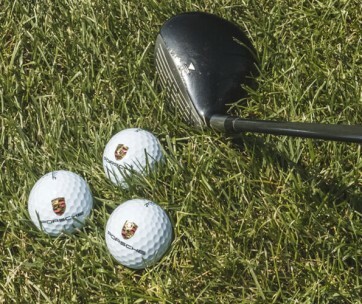 Some brands design their pitching machines to use only their specially crafted balls, and this must be taken into consideration before your selection. Q: What age should kids be when they start practicing with a Pitching Machine? A: Pitching machines are suitable for children of many ages, depending on the brand. Whereas some brands have devices set at only high speeds, others make way for low speeds such that children can be introduced to the art of hitting slowly. Mostly, pitching machines are recommended for children aged eight and above. Q: How Fast Is the Pitching Machine? A: Pitching machines are set at various speeds, and most often, these speeds can be changed, either by an increase or a decrease. Q: Does the Pitching Machine need to be portable? A: Yes, portability is an essential factor to consider when picking a pitching selection. Portability means training can be done anywhere without any hassle, thus eliminating any form of training limitation. Q: How much does the Pitching Machine cost? A: Concerning pricing, the cost of pitching machines varies greatly, depending on the type, brand, and the size. Some devices are always on sale, making them more affordable. Others are generally affordable to all budgets, and they function extremely well. Q: How to clean a pitching machine wheel? First, begin by heating up any build up of dirt on the wheels with a hair dryer or a heat gun on a high setting. Then with the use of a wide putty knife, scrape off the build up. Any remaining residue can be wiped with a wet paper towel.